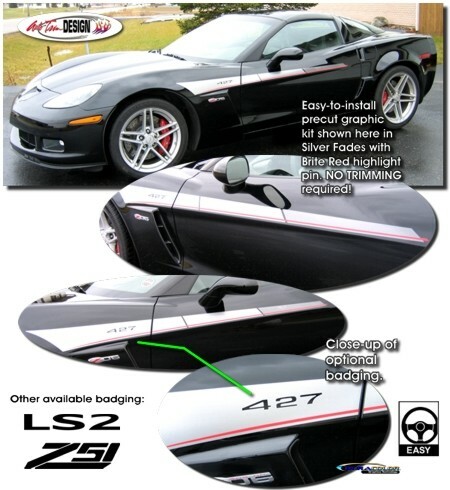 Add a unique look to your '05-Current Chevrolet Corvette C6 or Z06 with this classy body side graphic kit! Easy-to-install precut kit (NO TRIMMING required!) features a fade design with a highlighting pin as shown. Choose from six (6) color schemes and four (4) various badging options. 'Click' here to view available color schemes.